The first outfit of 2013. It was finally a day without rain and the sun even showed. Those who follow me on Instagram (@heritagemode) already knew that I've dyed my hair in a reddish blond shade. I also chopped of 10 cm and am still doubting about turning it into a messy long bob. What do you think? Mooi je haar! Hele sprankelende kleur! En de outfit vind ik ook erg leuk. great look! love the black with the primary colors! 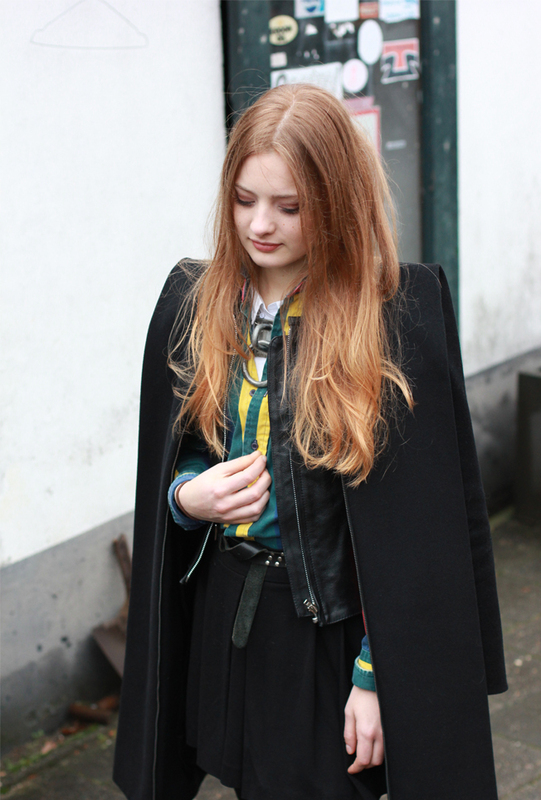 wat een leuke outfit dit!